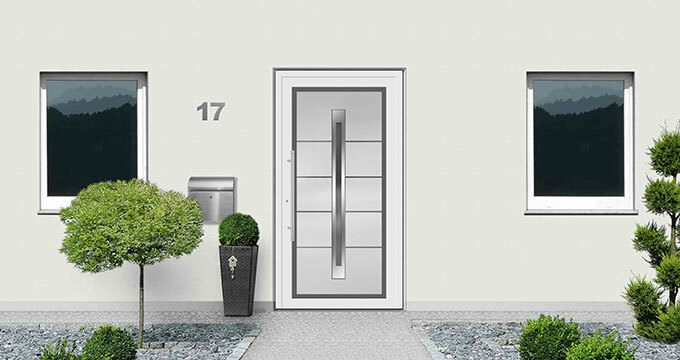 An entrance door with a Rodenberg door Panel meets all requirements: functionality and design, beauty and longevity, Energy Efficiency and safety. An individual entrance door thateExpresses your personal style and perfectly mathces the house. 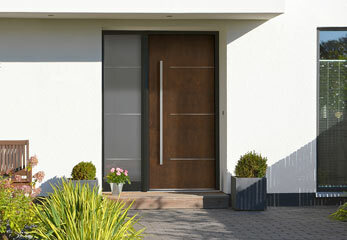 A high-quality entrance door panel, 100 % made in Germany. 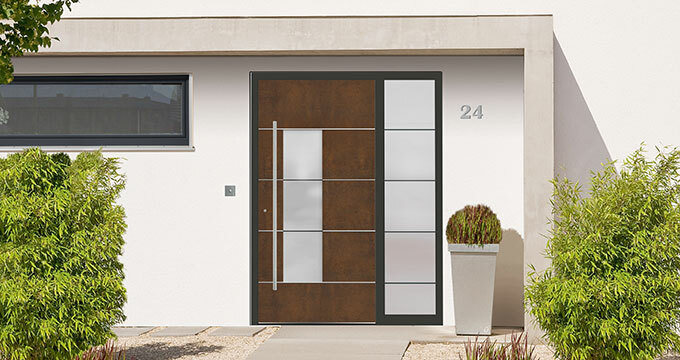 Excclusive, modern or classic, colored or in the Concrete-Look: Rodenberg-Entrance door are always safe and energy efficient. 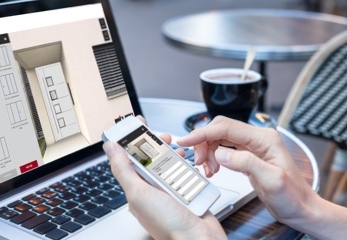 Create exactly the front door that suits your taste, your home and your budget: the dream door configurator makes it possible. 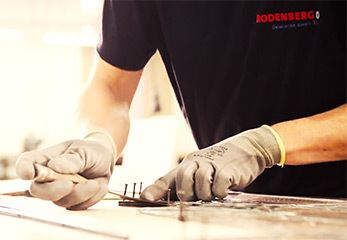 Training at Rodenberg is the first step on the career ladder: great jobs, great team, typically Rodenberg. Learn informative details from the Rodenberg family: exclusive models, extraordinary materials, interesting Backgrounds.. 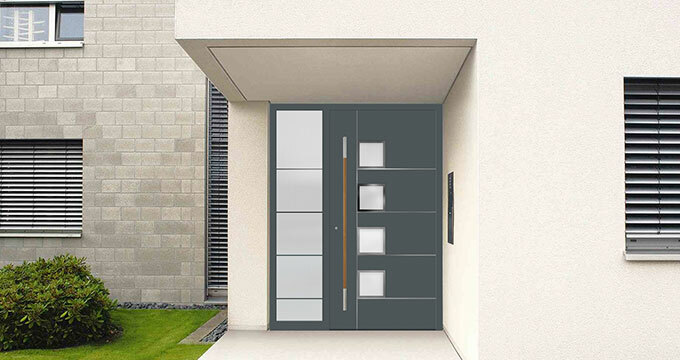 The dream door configurator enabled us to play through different variants and find the perfect entrance door . Our new entrance area is beyond all recognition. 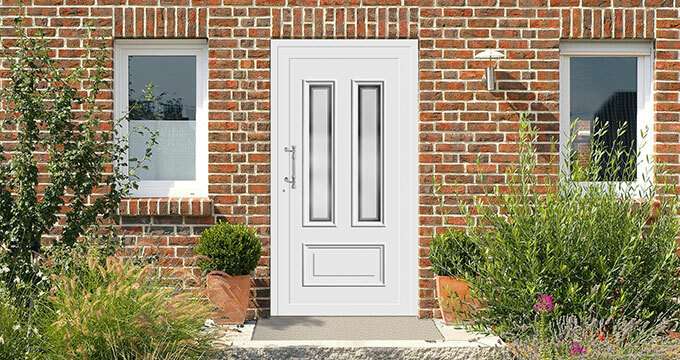 Our new entrance door is individual, secure and fits perfectly to the house - and to us. We uploaded a picture of our facade in the dream door configurator and could see directly what our dream door would look like. From configuration to advice from specialist partners to professional installation, we always felt that we are in good hands. Even our tricky entrance door situation was solved individually and professonally. Be inspired by the pictures below. A click on the image opens the displayed version, which you can customize. Or start the configurator directly. Discover the variety of models of the Rodenberg entrance doors and let us inspire you. Browse comfartably through our online catalogues or download the desired model as a pdf-file. Selected catalogues can be ordered by mail to your home - recognizable by the small package Symbol. 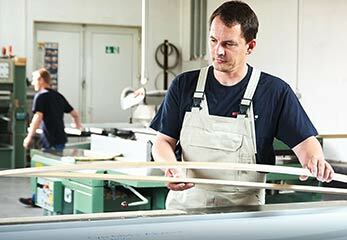 Rodenberg develops and produces high-quality entrance door panels according to your wishes and ideas. The consultation, ordering, delivery and installation of your entrance door is carried out by a specialist partner in your area. Please understand that Rodenberg cannot give you any price information.. The RODENBERG Türsysteme AG respects your privacy.